When news broke yesterday that HBO had optioned Nnedi Okorafor’s Who Fears Death as a television series and that George R. R. Martin was set to serve as an executive producer, more than a few eyebrows were raised for a couple of different reasons. On the one hand, it’s exciting to learn that the World Fantasy Award-winning novel was getting the big budget treatment that it deserves. On the other, now the A Song of Ice and Fire writer is attached to yet another project that doesn’t involve him actively working on finishing The Winds of Winter and diving into A Dream of Spring. Having heard the cries of his fans, Martin—as is his wont—posted a message to his Livejournal account insisting that everyone was blowing his role in Who Fears Death out of proportion. I will be an Executive Producer on WHO FEARS DEATH but I will not be the Executive Produce, i.e. the showrunner. That’s an important distinction. Should we move forward, there will be a number of Executive Producers, and probably some Co-Executive Producers and Supervising Producers and Producers as well. This is television. I will not be writing the pilot script or adapting Nnedi’s novel, and it’s doubtful that I will write any episodes should we go to series. 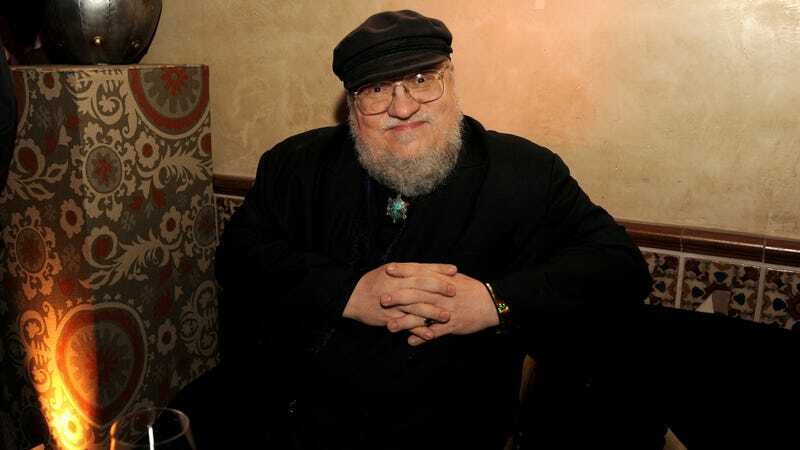 Look, I probably won’t be writing episodes of ANY television shows until WINDS OF WINTER is done and delivered, and that goes for the five GAME OF THRONES successor shows as well. Other writers will be scripting those pilots, and the same is true for WHO FEARS DEATH. It’s heartening to hear that Martin truly believes that Who Fears Death has the potential to be a smash hit like Game of Thrones, as he praises it and Okorafor extensively and wouldn’t put his name on it if he didn’t believe in it. But it’s not hard to understand why someone would be worried that he was taking on another gig that might mean waiting even longer for A Song of Ice and Fire to finally reach its end. Of course, we still have to wait.